Motion Controls Robotics is a Value Added Reseller (VAR) of Daifuku Webb’s SmartCart. The SmartCart Model 300TT’s small footprint allows for towing racks and trailers from underneath. 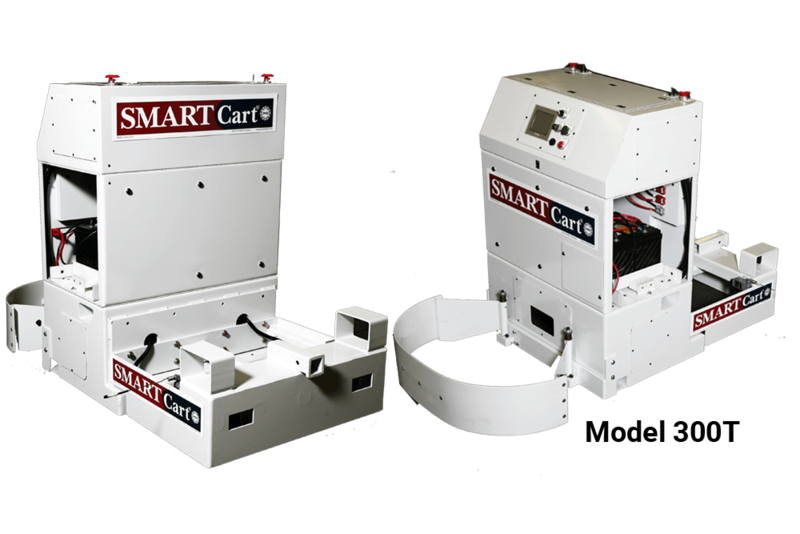 The SmartCart 300TT is the best selling AGC and many customers start seeing ROI in less than three months of purchase. Safety scanners installed on the AGC detect people and objects. 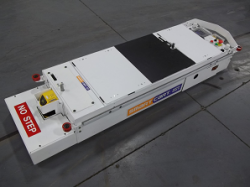 Paths and stops for the AGC are designed and programmed using CartTools® software. 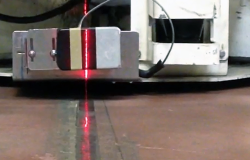 Then RFID transponders and magnetic tape are used to develop paths and stops along the manufacturing process for the AGC. 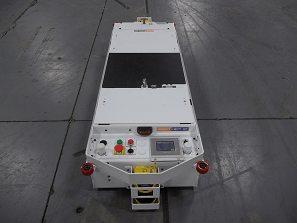 The Smartcart AGC 300TT’s charge last 6-16hrs and charging stations along the path allow for 24/7 hands-off operation. 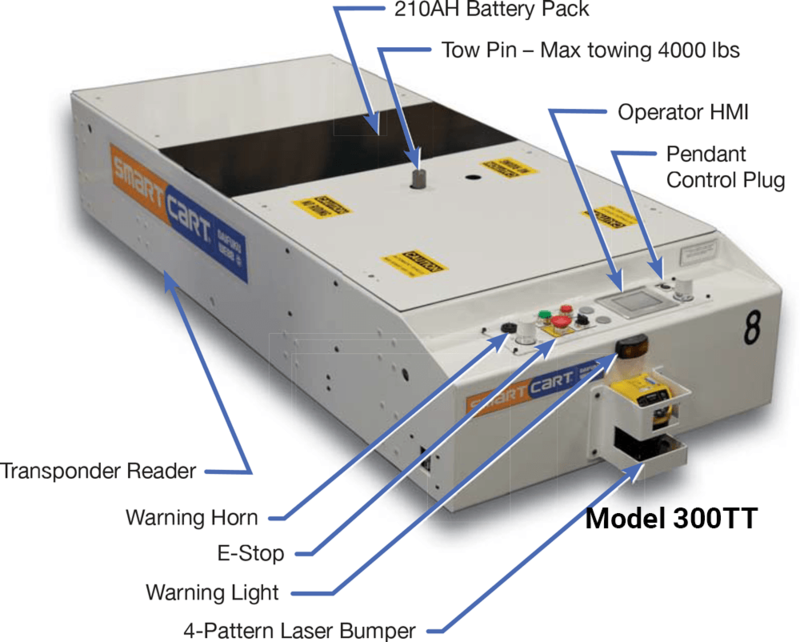 The SmartCart Model 300TT is constructed from steel and powder coated for durability. *SmartCart is a registered trademark of the Jervis B. Webb Company.